The Schneider 5.65x5.65" Solid Color Coral 2 Glass Filter is considered to be both a color-correction and color-effects filter. 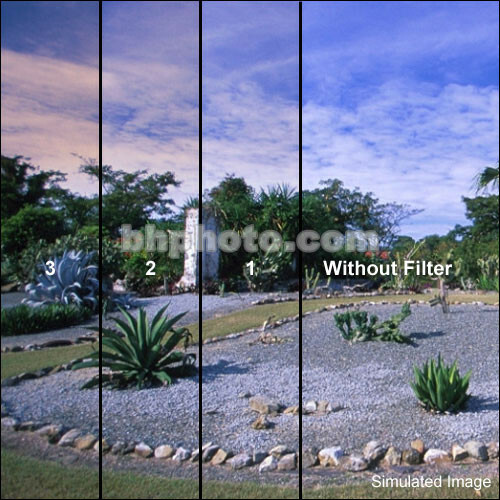 Schneider Coral filters are used to warm cool lighting situations such as overcast days and scenes in open shade. Different strengths of Schneider Coral filters can be used during filming to achieve the same degree of apparent warmth under different light conditions. This makes them particularly useful for maintaining a consistent color balance throughout an entire day of shooting, or to create a sunset or dawn effect during the day. Schneider Coral filters can be used to under-correct a scene in order to create an excessively blue look for added drama, and can also be used as warming filters to create other dramatic effects. Cinematographers who own a complete set of Schneider Coral filters have the ability to control just about any outdoor lighting situation.